Sports bike market is set to get a new high as India’s largest two-wheeler manufacturer Hero has announced the launch of much-awaited 2014 edition of Karizma R and Karizma ZMR. The popular sports bike features smart changes in its new avatar. The mechanism will remain the same though in new edition. Hero showcased the newer versions of both the bikes at this year’s Delhi Auto Expo in February. The refreshed Karizma R and Karizma ZMR have got look more or less same with a few modifications. Both the bikes sport a new front with twin headlight. The 2014 versions of Karizma feature new split seat making it sportier. The rear has got a clean new look with clip-on handlebars and a new muffler. The bikes have got redesigned body panels, wider tyres and a new exhaust end-canister as mechanical and cosmetic changes. Both the bikes will continue with the same 223cc four-stroke single-cylinder air-cooled single piston engine but the engine has got minor tweaks to improve the performance with more power. This engine generates a power of around 19bhp and a peak torque of 19.3Nm which is 2bhp and 1Nm more in power and torque respectively than their predecessors. Karizma ZMR is slightly more powerful with 20bhp of power and 19.7 Nm of torque. Just like their previous models, both the bikes have a 5-speed manual transmission. The update Karizmas will be available in five colors – Red, Black, Yellow, White and Grey. Karizmas weigh around 160kg and carry a fuel tank capacity of 15.3 litres. High on style quotient and moderate on mileage, Karizma R and Karizma ZMR are priced competitively by Hero. Karizma R is priced at Rs. 93,693 and Karizma ZMR costs Rs. 1,17,245 (Mumbai). Bookings have already started for the new Karizmas at a price of Rs. 14,000. Deliveries are expected happen as soon as next month. 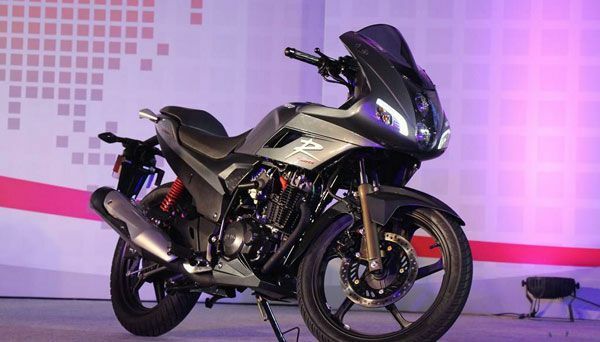 The 2014 Hero Karizmas will compete with Bajaj Pulsar 220 in the segment. 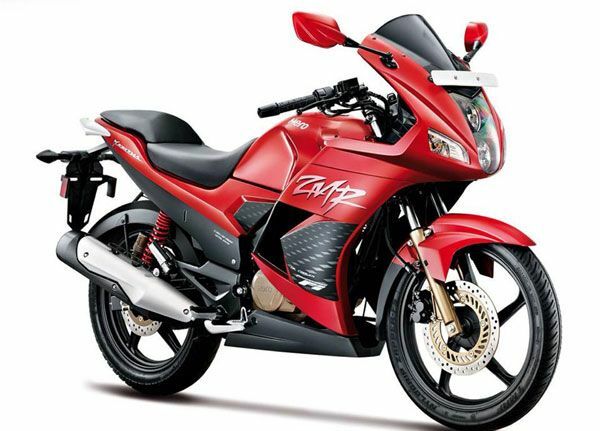 Hero first introduced the Karizma in 2003 in the Indian market. It was upgraded to Karizma R in 2007 with minor cosmetic changes. Hero launched another variant of Karizma in 2009, Karizma ZMR which was slightly more powerful than Karizma R.
The 2014 Karizma R and Karizma ZMR seem to bring a new excitement among sports bike enthusiasts in the country with whole new style and power. Founded in 1982 by Munjal Brothers, Hero Motocorp Ltd is world’s leading and India’s largest two-wheeler manufacturer. Soon after its origin, Hero partnered with Japan’s automobile giant Honda in the segment as Hero Honda Motors Ltd in 1984. The two worked together till 2010 before Honda decided to move out of the partnership. Hero has a huge stake in India’s two-wheeler industry with a vast range of bikes and scooters. Hero’s range of bikes include Hero Splendor (Splendor Pro, Splendor NXG, Splendor+, Splendor I-Smart, Super Splendor), Hero Passion (Passion Pro, Passion Plus, Passion XPRO), Hero Deluxe (HF Deluxe Eco, HF Deluxe), Hero Dawn, Hero Ignitor, Hero Impulse, Hero Achiever, Hero Glamour, Hero Hunk, Hero Xtreme, Hero Karizma R and Hero Karizma ZMR. Hero also offers automatic scooters – Maestro and Pleasure. Splendor has been Hero’s most successful two-wheeler till date. Hero still sells more than 1 million units of Splendor every year.